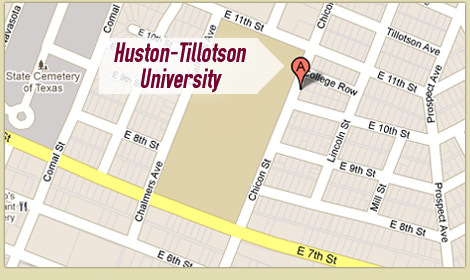 (AUSTIN, Texas) 1.19.16 — The Huston-Tillotson University Sandra Joy Anderson Community Health and Wellness Center, located at 1705 East 11th Street on the corner of 11th and Chalmers Avenue, opened today. 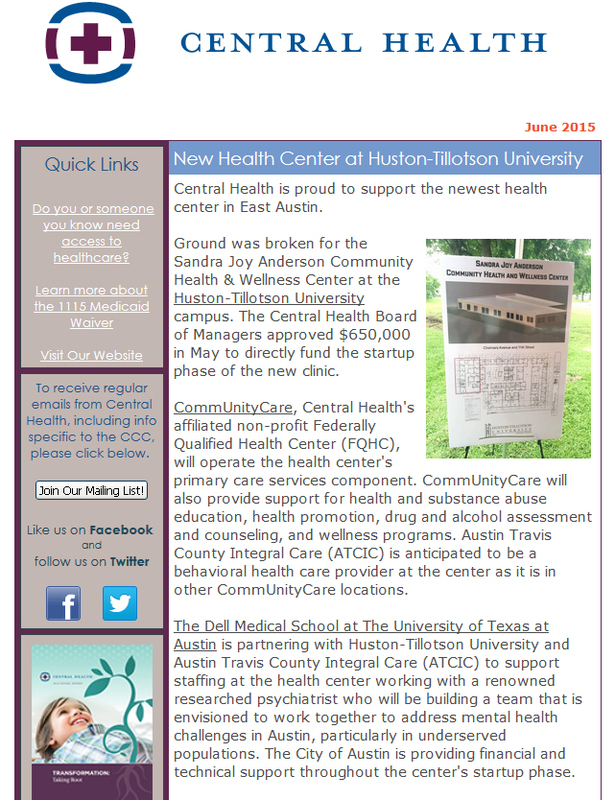 The Center hours will be Monday through Friday from 8 a.m. to 5 p.m.
“This vision of providing healthcare services to not only the HT community but the broader community at large, speaks to our outreach commitment and the ability to address health disparities in East Austin,” said HT President and Chief Executive Officer Colette Pierce Burnette. 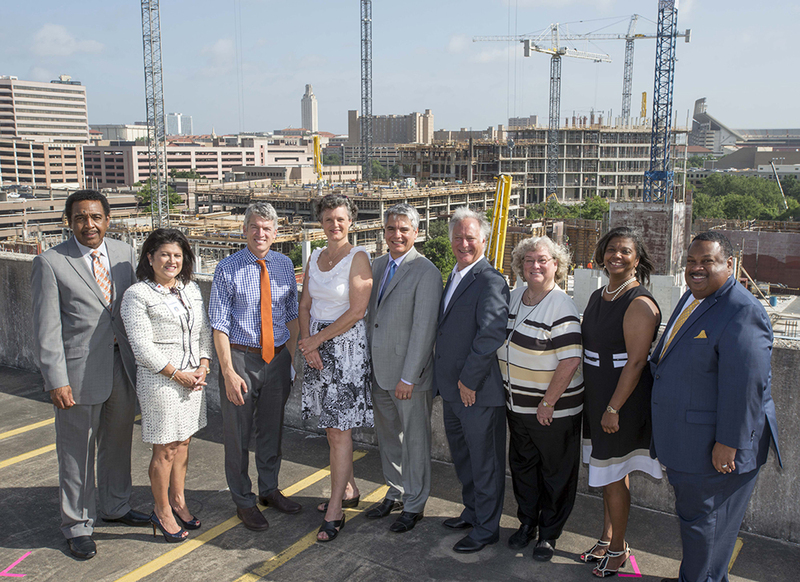 The Center is a partnership with HT, CommUnityCare (CUC), Austin Travis County Integral Care (ATCIC), and the Dell Medical School at The University of Texas at Austin. It is dedicated to helping underserved residents of Austin gain access to health care, and will offer both medical and behavioral health care services in a primary care setting. The partners are working together to address the physical and mental health challenges of the Austin community and have built a team that includes Dr. William Lawson, Associate Dean of Health Disparities at the Dell Medical School, to produce new models of care, combined training programs, and research to address the needs in East Austin. 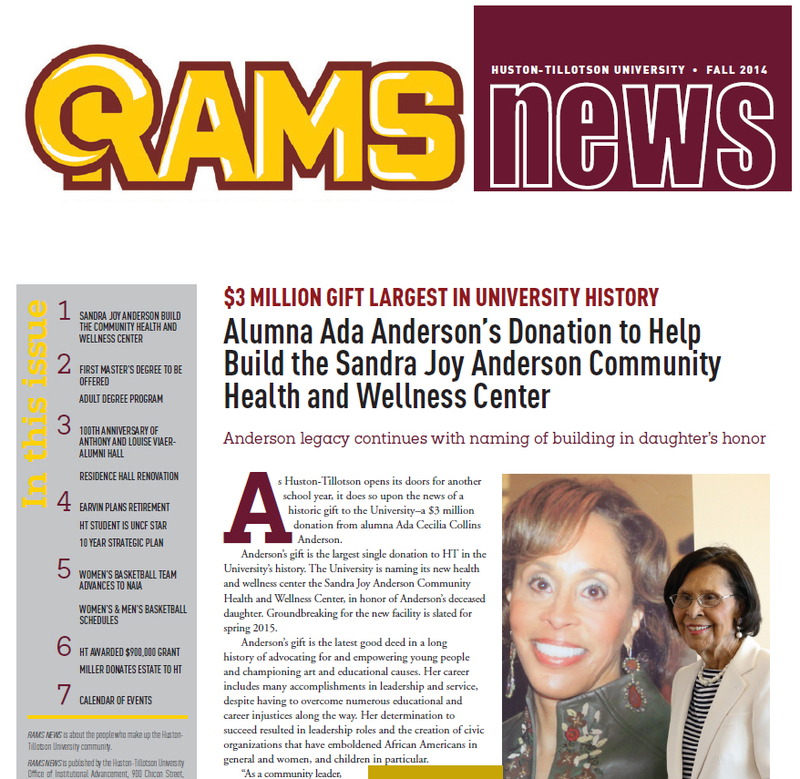 HT received a three-million dollar gift, the largest in the institution’s history, from Mrs. Ada Cecilia Collins Anderson, age 94, who attended Samuel Huston and Tillotson, Austin’s two predominantly black colleges before they were merged, to build the 14,704 square-foot structure. She received a master’s degree in 1965 from UT. The Center is named after her late daughter. CommUnityCare, a Federally Qualified Health Center (FQHC), will provide primary medical care services and will occupy 12,000-square feet of the Center. ATCIC and CommUnityCare, which offers health services across Travis County, have a long history of working together and have been on the forefront of bringing community-based integrated physical and mental health services to vulnerable populations in the community. The Center will help relieve the strain on Travis County’s mental health resources by adding treatment options and services that residents and taxpayers need. The City of Austin also committed more than $500,000 to support the start-up phase, with additional support coming from the Meadows Foundation ($75,000), and H-E-B ($55,000). Sandra Joy Anderson Baccus was co-founder and president of several companies in the healthcare and energy industries. Correctional Medical Associates, Inc. (CMA) flourished while providing medical and mental health services at the Fulton County Jail for 25 years. Baccus Enterprises invested in solar and other renewable energy sources. Sandra and her husband also developed Lottery Services of Georgia, a firm that repaired Georgia’s lottery and voting machines. In addition to offering undeniable strengths corporately, Sandra Baccus’ history of community service, fund-raising for non-profits and her role as an arts advocate extended over two decades. 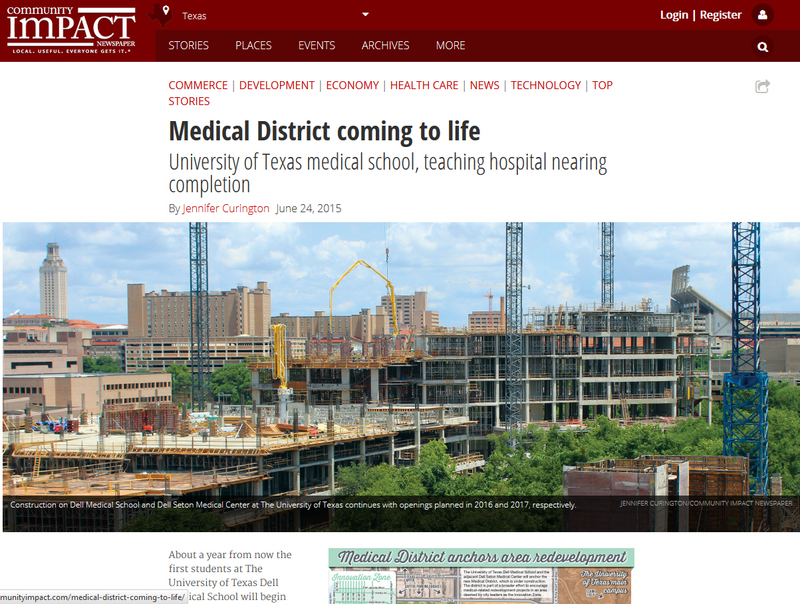 The Center is envisioned to launch a $35 million complex that will not only help address health disparities and increase wellness across the community, but increase the number of African American physicians in Central Texas, and serve the medical needs of HT students and faculty members. HT officials foresee a health and wellness complex to house the Kinesiology Department and Intercollegiate Athletics. Approximately one third of HT’s 1,023 students are athletes with kinesiology ranking among the top five majors. 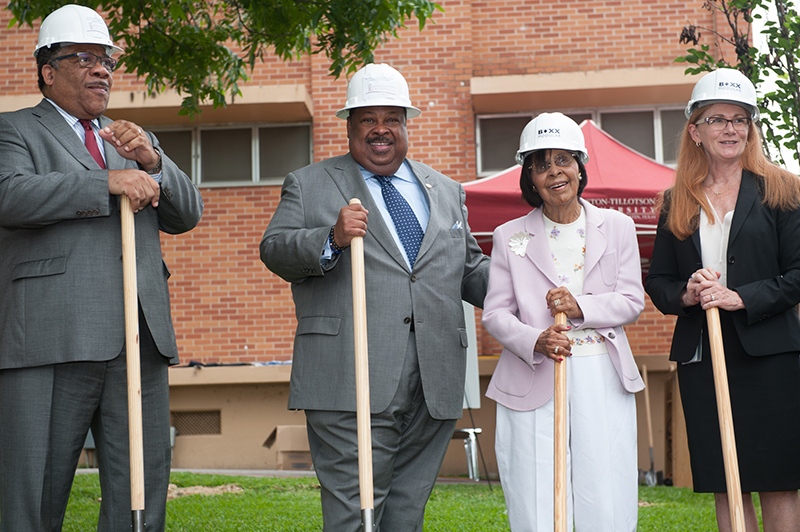 Pictured are Patricia “Trish” Young Brown, President and CEO of Central Health; Kirk Watson, Texas Senator; Ada Cecilia Collins Anderson; Colette Pierce Burnette, President and CEO, Huston-Tillotson University; and Steve Adler, City of Austin, Mayor; at the Sandra Joy Anderson Community Health and Wellness Center grand opening. 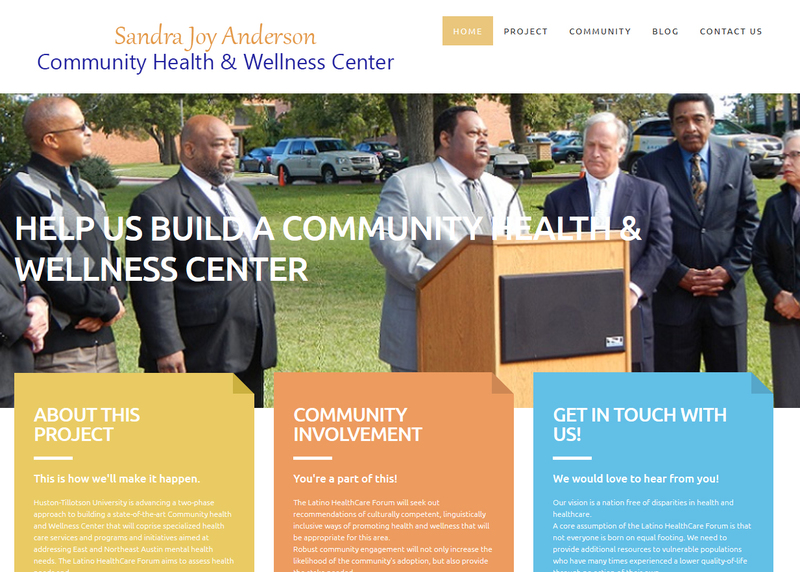 Pictured are Colette Pierce Burnette, President and CEO, and George Miller, Jr., Chief Executive Officer of CommUnity Care Health Center, unveiling the Sandra Joy Anderson Community Health and Wellness Center sign during the grand opening.